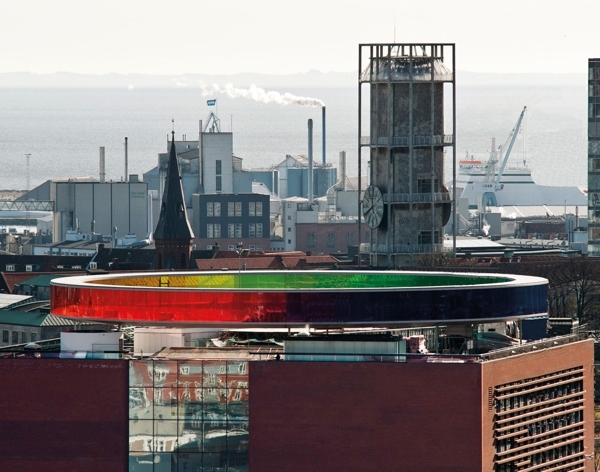 ARoS Aarhus Kunstmuseum in Denmark’s second largest city’s is newly crowned with a glass rainbow ring that transforms the cities vista into ever changing hues. 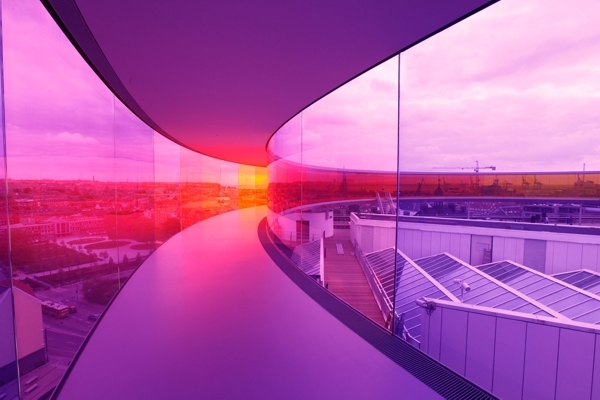 Olafur Eliasson’s “Your rainbow panorama” is the final level of the museums symbolic ascension through Dante’s 9 circles of hell in the Divine Comedy. The circle, set above the rooftop, is the crescendo of that journey into light. 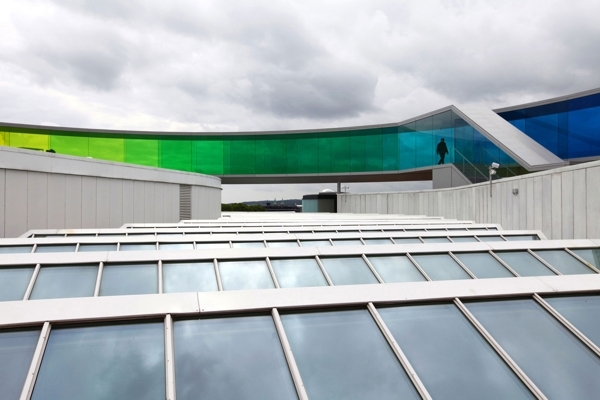 Measuring 52 meter in diameter and 150 meters long the skywalk is entered from a roof deck. 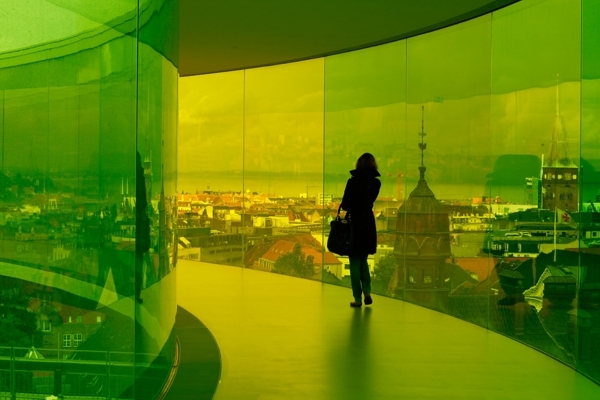 The full spectrum of colors is achieved by sandwiching up to 6 colored sheets in-between two plates of glass. 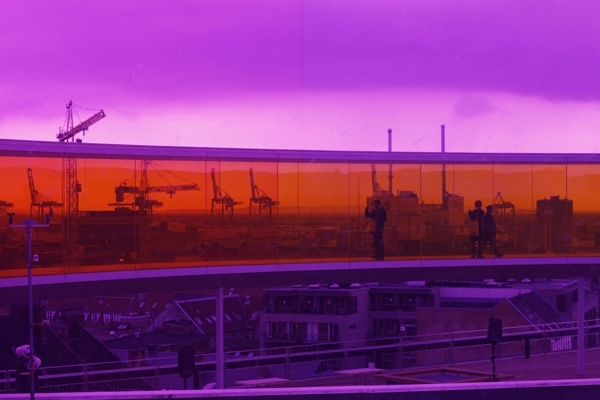 The effect of the circular walk and slowly transitioning changing in color acts as a visual meter of the city view. 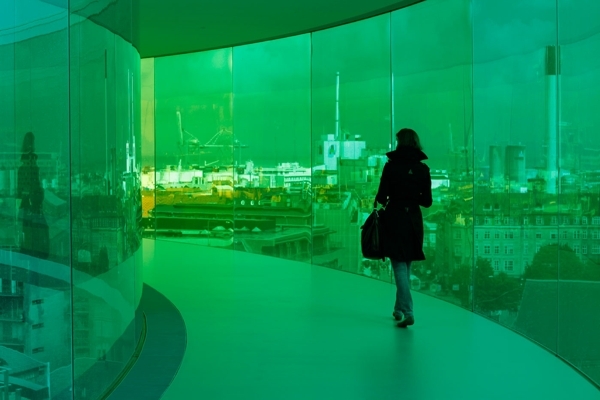 Eliasson’s intention is to blur the distinction between contemporary art and architecture, using the entire city as an active part of the experience. His goal of mixing the inside with the outside is further emphasized by using natural light to power the retinal experience, where intensity is sensed by hue and sunlight levels. 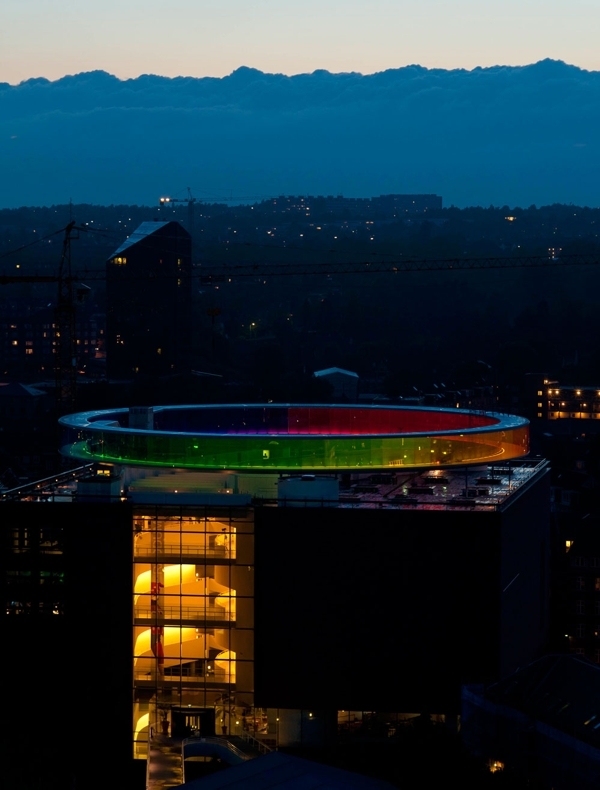 At night the ring is internally lit from the floor, becoming a beacon in the city.